Adding a transaction to your Wave account typically comprises of three steps: categorizing the transaction, including a sales tax if appropriate, and marking the transaction as reviewed. We’ve made some changes to the process for adding taxes, and we’ll walk through them here. Before you can apply a sales tax to your transactions, you’ll need to add that tax to your Wave account. 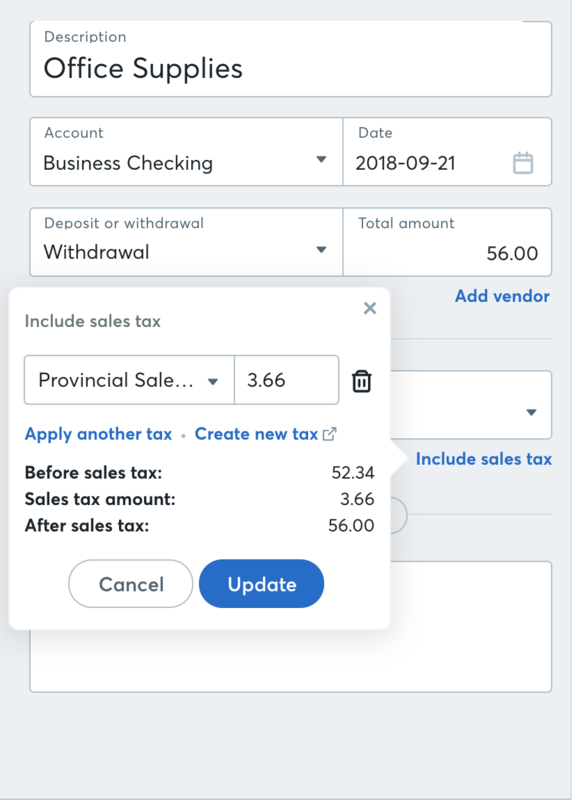 When you add a transaction via the Transactions page, you’ll see the option to Include Sales Tax after you have categorized the transaction. 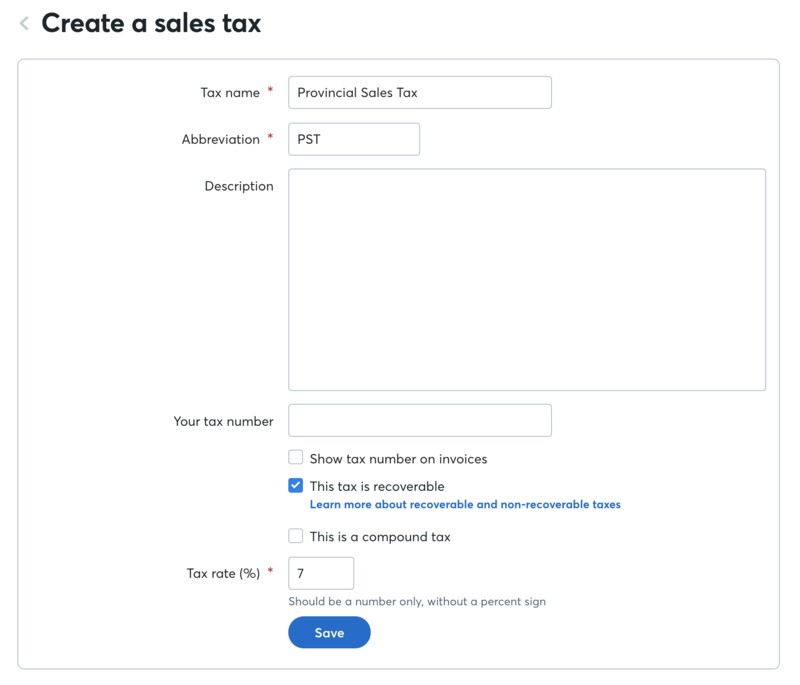 Once the tax is added on the transaction details, you will now see a better breakdown of the before-tax amount, tax amount, and after-tax total. Note: the tax calculation is inclusive of the total of the transaction. 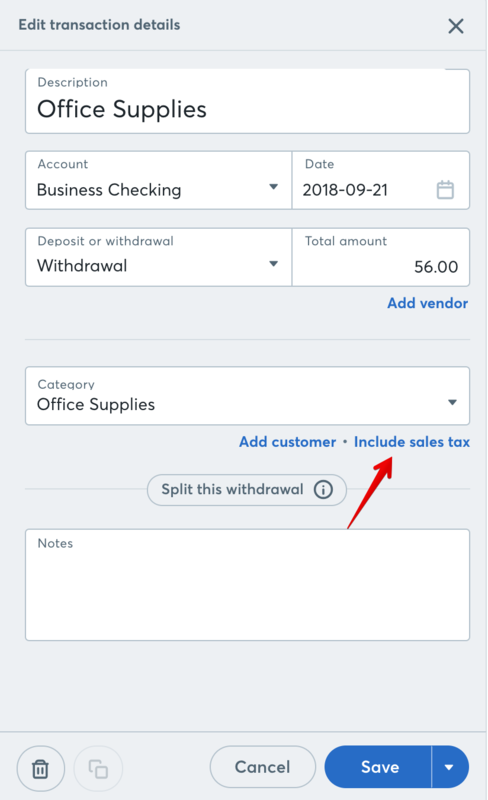 Using the inventory purchase example above, the tax will not be added on top of the $500 total, but the 14% will be calculated from the total giving us $61.40 in tax and $438.60 in pre-tax amount.